Five years ago I was where you might be today. I had been interpreting for almost 15 years, a single mom raising three kids, and was so burned out by chronic pain and emotional baggage that I wasn’t sure I could go on… something had to give. What was it, that had to give, you ask? I had to give up my obsession with making everyone else happy, and instead focus first on the happiness of the one person I would spend the rest of my life with…myself. Self-care completely changed my life. By taking care of myself, putting my own joy first, and learning to say “No” to others so that I could say “Yes” to myself and my family, I found my way back to a healthy, vibrant, happy, and connected life. Today I enjoy my kids, chronic pain is just a memory, and I’ve learned how to make myself a top priority in my daily life. You. Can. Too, and I’m so glad you’re here. 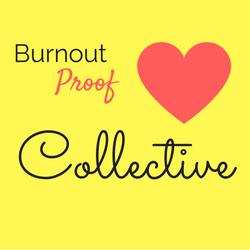 A great place to start to get all the support you need is in the private group I’ve created for you, The Burnout Proof Collective. Join us now. You will never regret this decision. I want to express gratitude for the breadth of openness in our work, to be with what’s salient. Your trust in me is creating more trust in myself. During my session with Breana, she brought my attention to the subtleties of my train of thought/speech and using what I would describe as reflective listening helped me to realize what I was saying and projecting beyond my words. She also helped me to identify & break down some barriers that were seemingly huge and really weighing on my decision. With her guidance and support we worked on a “solution” to those barriers and there was a new level of clarity for me. 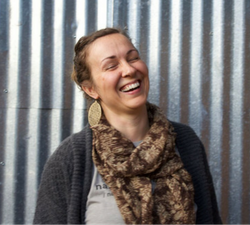 Breana is so easy to talk to, a great listener and I would recommend her as a life coach to anyone.